Beach home just listed for sale in Magnolia Cottages by the Sea. Nestled between Alys Beach and Seagrove, this 30A cottage home features 3 bedrooms, 3 bathrooms, hardwood floors, stainless appliances, granite countertops, private screened porch, heated community pool. and 1,225 sq. ft. of heated and cooled space. Being sold fully furnished and rental ready this home is steps away from the beach access directly across 30A. 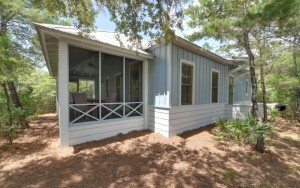 Call us today for more information on this beach home in Magnolia Cottages by the Sea. Contact us at The Beach Group at 850.231.9007 for more information on Scenic 30A East real estate.